After not featuring in any of Tyrone's games in this year's Allianz League, Ronan O'Neill has, for now, quit the county panel. The 26-year-old Omagh St Enda's clubman was an All-Ireland minor winner with the Red Hand in 2010 and subsequently broke into senior the side, where he featured in Tyrone's provincial success in 2016 and 2017. However, his championship appearances have been mainly as a sub in recent seasons, with his last start against Mayo in the 2016 All-Ireland quarter-final. 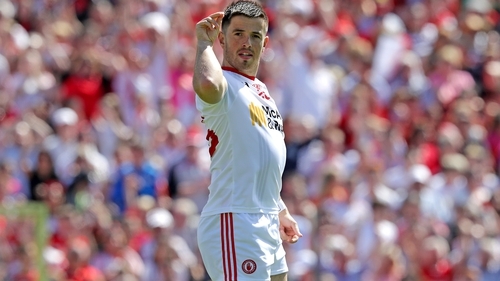 At the beginning of 2019, O'Neill did play in all of Tyrone's games en route to winning the Dr McKenna Cup. The attacker is not ruling out a return to inter-county football, but for the rest of this year he will concentrate on the club game.